Some people take issue with shortcuts. I’m not one of those people – and I love a good bran muffin. A few years back I got this idea to “soup up” a package of muffin mix and see how they turned out. I’ve been making these wonderful muffins ever since. 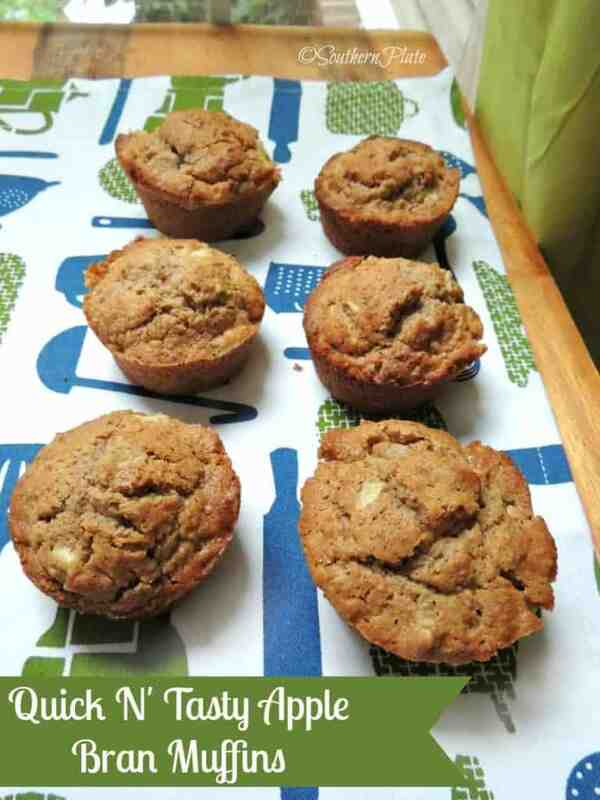 If you’re hankering for some muffins from scratch, just click here. 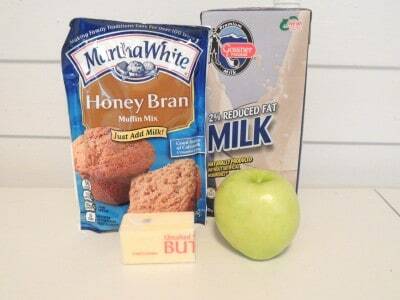 All ya gotta have to make these are a package of Martha White Honey Bran Mix, milk, butter, and an apple. 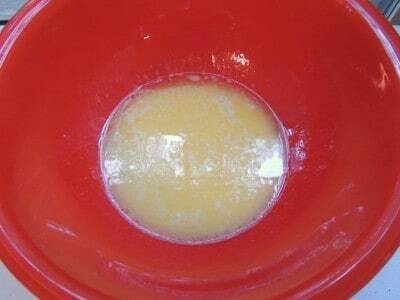 Melt your butter and place that in a bowl along with your milk. 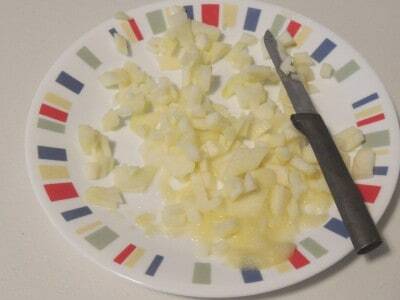 Add in your mix and stir that up until it is moistened. Peel your apple and chop it kindly fine. My Grandmama always used to say “kindly” in place of “kind of”. Makes me smile when I say it that way. Add in your apple and stir that again, too. 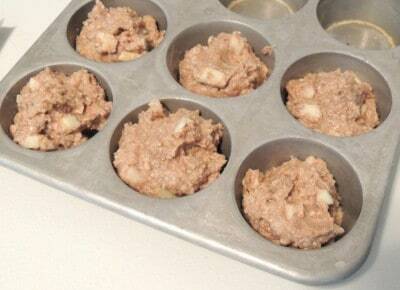 Spoon muffin mix into greased muffin tin. Bake at 425 for 12-15 minutes. Allow to cool a few minutes before removing from pan and enjoy! 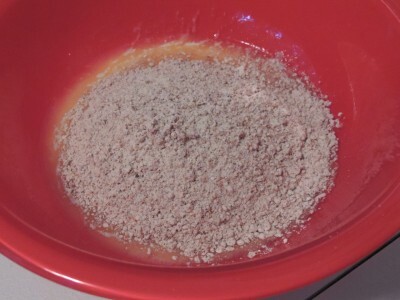 In medium sized bowl, stir all ingredients together until well blended and completely moistened. Spoon into greased muffin tin. Bake at 425 for 13-15 minutes. Allow to cool for a few minutes before removing. Enjoy! Win a Month’s Worth Of Muffin Mixes and MORE! I like a good bran muffin! Those would be great right now with a cup of coffee. I added applesauce instead of an apple, added cinnamon morsels and chocolate chips. My grandsons love these. I bet they turned out wonderful!!! 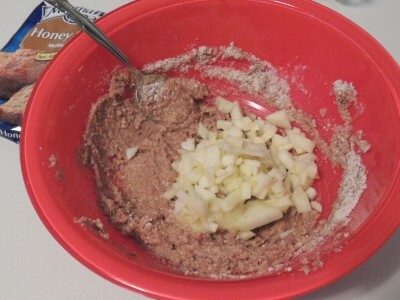 How much applesauce should I add instead of an apple. I always have applesauce on hand. How much of each? That sounds wonderful! Anxious to try the muffins. I am handicapped and love your recipes because they are easy and delicious. Also I love Martha White products because of the easiness to prepare and great quality of ingredients. I’m looking forward to making the bran muffins. They sound delicious ! ! ! Thanks for the recipe. These look so good I wish I had one now with a good cup of coffee. Has anyone tried adding a 1/2 teaspoon off cinnamon and/or allspice? Seems like that might jazz the muffins up! I haven’t but you are brilliant! I love quick and easy! Would love this — don’t see Martha White much in the state where I live. Hi Mrs. Jordan. I wanted to ask you about something else. Do you think you could do another story time video? I really miss those and I have some young cousins who would love that. Specifically, can you read the book “Chocolatina” by Erik Kraft? If you cannot find the book it is available on Amazon. I am going to try this and add about 2 TBSP of chopped walnuts (as well as a little cinnamon)! 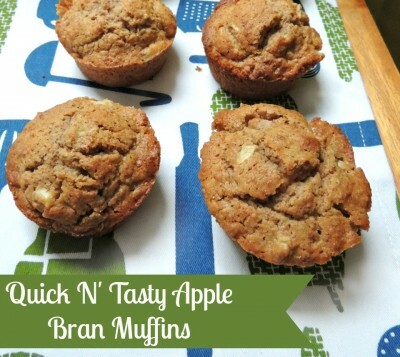 never thought to try a fresh apple – why I don’t know because I almost always mash up a too ripe banana when I use the banana nut muffin mix. I am going to try this for sure! I’ve added a mashed banana (Branana Muffins) and a diced peach (good summer flavor)to this mix – delicious. Now, I’m going to try apple for the fall. Oh my, oh my – get in my belly! Ok now we just gotta have muffins in the morning. I can almost smell them now. Christy I have to share what I did tonight!! I made your Mama Reed’s Caramel Apple Cake, but my husband Roger does not like icing, ( I know, the man just does not know what he is missing) so I made a vanilla glaze – doubled the recipe – and poured that over the cake. It WAS amazing!!! I do this with my carrot cake and he just loves it. Oh the things we do to keep the men in our lives happy!. Thanks for such a wonderful cake. I’ve got the apple now all I need is the muffin mix! I couldn’t find bran muffin mix at Walmart so would love to win this package. I haven’t seen Martha White products at our grocery stores in California so I’d love to win one of these to try your Apple Bran Muffins. I love muffins! My husband is home one morning a week for breakfast Martha White muffins are a must no matter what else is on the table! 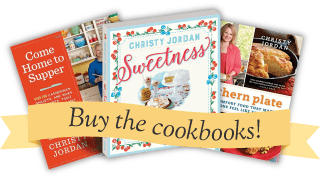 Christy – I have a quick question about another recipe, your Slow Cooker Chicken and Rice. My mom and I both have your book and are going to make it soon. But, I see the recipe in your book (pages 101 and 104) says to use three pounds of boneless, skinless chicken breasts, while the recipe in your website says to use four chicken breasts, (which would probbaly be no more than a pound and a half at 5 – 6 oz each, so that’s at least half of the recipe in the book). Hmm, which should we use? I’m thinking four chicken breasts, as three pounds seems like quite a lot. Thanks for your help!